Dyamonde Daniel may be new in town, but that doesn't stop her from making a place for herself in a jiffy. With her can-do attitude and awesome brain power she takes the whole neighborhood by storm. The only thing puzzling her is the other new kid in her class. He's awfully grouchy - but Dyamonde's determined to get to the bottom of his frowning attitude and make a friend. 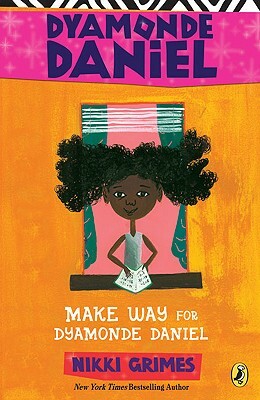 Readers will fall in love with Dyamonde Daniel, the spirited star of a new series by Nikki Grimes. With her upbeat, take-charge attitude, Dyamonde is a character to cheer for - and the fun, accessible storytelling will hook kids from the first page.